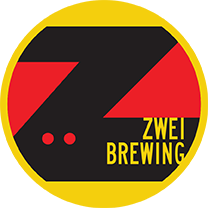 Zwei Brewing was started by two brothers who are passionate about beer and talented at making it too. Offering German standards you’ll love and specialty craft beers that will surprise! 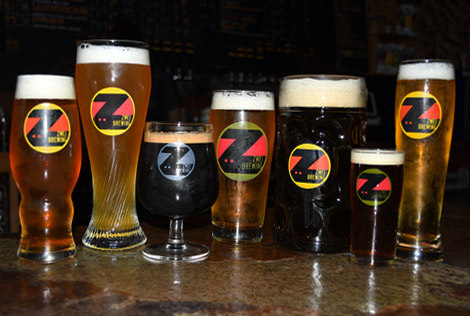 Get your running shoes on and make a run for Zwei beer on Tuesday, April 30th from 6pm to 9pm. Join us for our spring celebration and Maibock release on Saturday, May 4th from 11am to 10pm. Create your own unique one-of-a-kind jewelry at Zwei Brewing on Tuesday, May 7th from 6pm to 8pm. Join us once a month for yoga and a beer from 9am to 10am, and help out a great cause. Laugh along with the improvised musings of the Comedy Brewers on Sunday, May 12th starting at 7pm. Stay tuned to our music schedule and enjoy local musicians with a Zwei brew. Every Monday from 6pm to 9pm, $3 off your bier if you buy it in our 1 liter Maß. Every Tuesday at Zwei Brewing from 11am to 4pm we'll be doing a growler fill special.